Greenstone has launched a suite of services to help organisations assess their readiness for the EU General Data Protection Regulation (GDPR) which comes into force in May 2018. Through Greenstone’s SupplierPortal solution, organisations can now assess both their suppliers’ GDPR compliance, as well as their own organisation’s readiness, for the regulation. 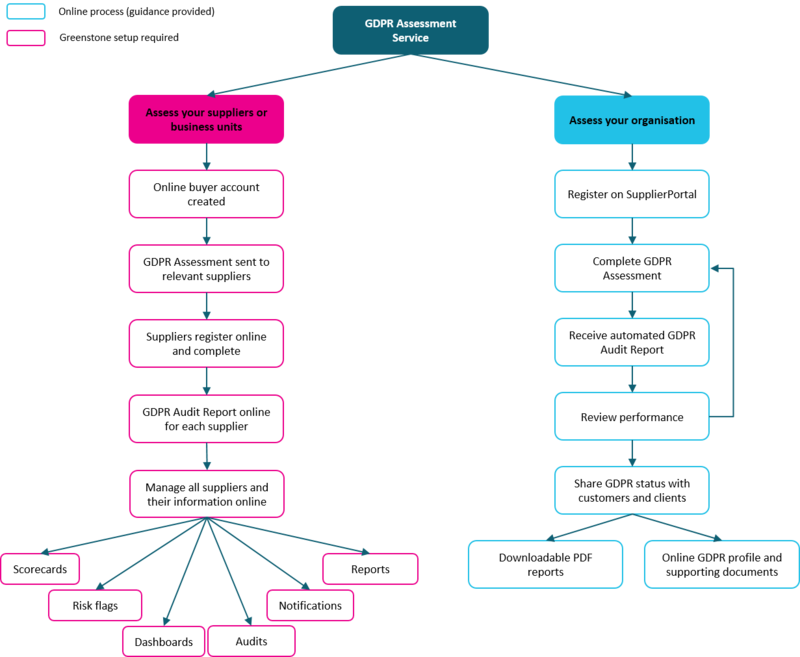 Supplier GDPR assessment - distribute the online questionnaire to the relevant suppliers and receive an automated Audit Report showing each supplier’s GDPR readiness and identifying any potential gaps in addressing the regulation. Internal GDPR assessment – register online, complete the questionnaire and receive and share an automated Audit Report showing your organisation’s readiness for the GDPR regulation. Supplier Assessment - contact Greenstone below to kick-start the process. Internal Assessment - contact Greenstone below to receive your online guidance document. Please contact supplierportal@greenstoneplus.com with any questions.